From time to time I come across articles that just make me say, “Yes, yes, yes!” Such is the case with a recent piece in the Boston Globe Magazine titled, At summer camp, friendships blossom without technology. The author, Meaghan O’Neill, touched upon themes that I’ve been writing about for years in my No Tech blog series. That series is all about how kids today, inundated as they are by e-everything, are losing out on essential components of human development including relationships, nature, self-reflection, whole-body learning and experiences, and more. O’Neill’s focus on friendships got me thinking about my own time at camp, from young childhood on to my Junior Counselor summer, and even my early years working as a counselor. The bonds I built every summer through the combination of sheer immersion in not only the summer camp rhythms both day and night, but also the self-imposed exile that is camp — the fact that it’s its own little world separated from the world out there — is something that has nurtured me throughout my life. It’s also something I turn to again and again as I keep those connections both vital and alive with meaning! More than any other indicator — quitting smoking, exercising regularly, having low cholesterol, and so forth — maintaining rich and meaningful relationships is the best predictor of well-being as we age, according to the Harvard Study of Adult Development, which was conducted over the course of some 80 years. It stands to reason that parents should help their kids learn how to develop healthy friendships the same way we teach them about eating right. But what sets the tone and context for friendships moving to the forefront of experience? Part of it is that immersion I spoke of above, as well as the repetition of theat immersion from summer-to-summer across childhood and into the teens. It’s also good to cut the lines of electronic communication, phone calls, texts, the relentless pace of showing who you are (your brand!) on social media sites in order to build better friendships and relationships. I can’t emphasize this enough. 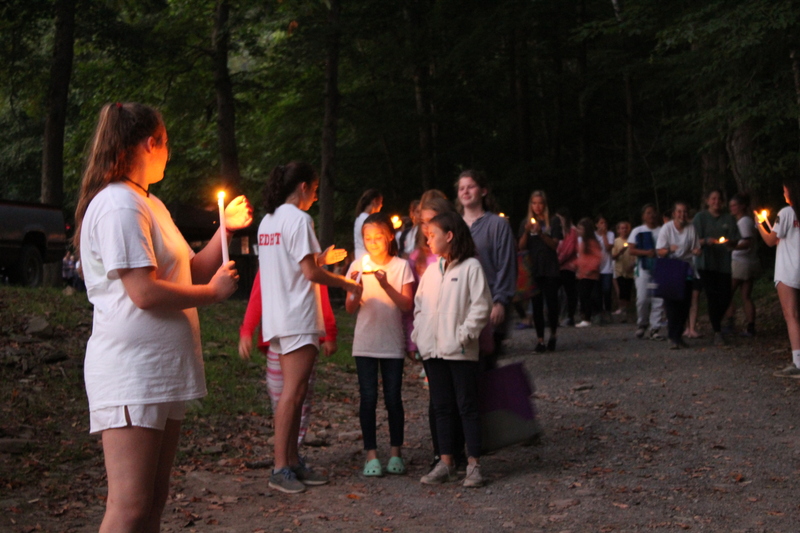 It helps that most camps — day and sleepaway — are anti-screen; most camp professionals agree that limited or no use of technology for social purposes is critical to the experience. (On the flip side, though, all that tech allows kids to stay in closer touch than ever when they’re away from camp.) Eye contact, smiles, and saying “good morning” have a significant effect on kids who otherwise may be used to chatting via text or using emoji to express themselves. Many camps teach basic social skills without making the instruction seem like an etiquette class. And part ot it, too, is fostering some healthy, age-appropriate independence. It’s even good to step back from truly loving and healthy relationships (family and friends back home) so that the child or teen can re-visit herself outside of a familiar context. This is actually an enhancement to — rather than a threat to — a healthy family life as the child tests her wings and stretches her mind and body only to land back in the loving embrace of home once again, the same, but different. A richer her. Some of this comes from the fact that mom and dad aren’t there to intervene or even to provide immediate counsel. Rather than scaring parents, it should act as a confirmation that you’re doing something right both in coaching your child at home and trusting that she’s going to take that learning with her — she is ready to handle some time on her own in a vetted, trusted place. Michael Thompson, the psychologist, compares the bonds that originate in challenging situations to those among soldiers in the trenches. Whether they’re white-water kayaking or navigating awkward mealtimes, campers frequently push their limits in unexpected ways. They learn to coach one another through their weakest moments and celebrate their proudest. In this screen-free retreat that is camp, fabulous, essential, rewarding, nurturing new relationships are added to the child’s life. Often they’re friendships that last a lifetime. In our case, at Camp Alleghany for Girls, friendships and relationships also includes a remarkable alumnae network that I’ve seen land folks internships and jobs, lead to vacations and excursions that are taken with camp connections, reunions that are celebrated a few or many years after camp, and probably much more that we don’t even know about. Is camp fun? YES! Is camp just another form of a vacation? NO! In the end the camper is never doing it alone. From the programming to the setting, the staff to the opportunities, the other campers to the natural world, everything at camp conspires to bring out in campers a deep sense of the rewarding and deeply valuable nature of human relationships, and especially the power and meaningfulness of friendships. I wouldn’t be who I am with out. And it’s a priceless gift to give your child.